The project was first launched in Kenya last year. It is led by International Planned Parenthood Federation Africa Region (IPPF ARO) and funded by the European Union. 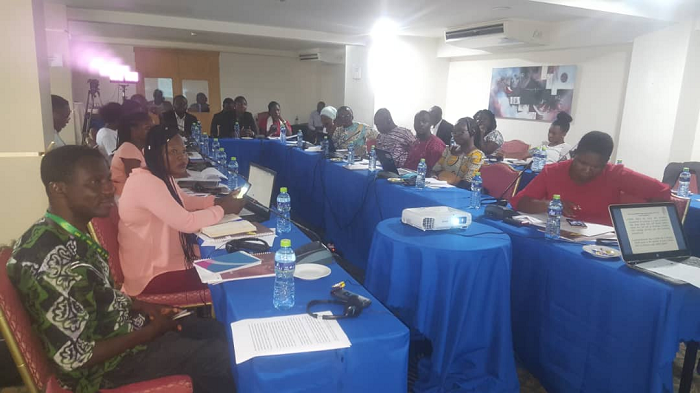 Speaking at the training, the Executive Director of Planned Parenthood Association of Ghana (PPAG), Mrs. Abena Adubea Amoah Acheampong, urged journalists to get themselves well-informed on issues on SRHR so as to enable them to better inform and educate the public. Mrs. Acheampong said due to the lack of understanding on the issues of SRHR, many people had negative misconceptions on sexuality education. The Coordinator of the RightByHer project, Mr. Archibald Adams, said the project is meant to ensure that women, particularly adolescent girls have the right information, especially around their sexual reproductive and health rights. All the participants pledged their support for the initiative, by penning their signatures down on the RightByHer campaign banner.